As Vice President of Strategy for Originate China, Sameer manages the day-to-day operations in China and supports business development through fostering internal innovation, looking for entrepreneurs to partner with by providing development and strategic advisory services, and seeking clients for whom Originate China can add unique value. Sameer is currently CTO for one of Originate’s portfolio companies in China and advises many startups on their strategies for China. Prior to joining Originate, Sameer spent four years working for Accenture, where he managed technical projects for Fortune 500 clients. He also spent over 5 years with Toyota, where he analyzed the financial impact of long-term strategic decisions and worked with executives to communicate the implications of those decisions to Toyota’s Associates. 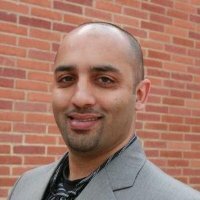 Sameer earned his Bachelors Degree at Carnegie Mellon University and earned his Masters of Business Administration with a focus on International Management from UCLA’s Anderson School of Management.